Neil Young will reissue four of his albums from the mid-1970s on vinyl on September 6. 1973’s “Time Fades Away”, 1974’s “On The Beach”, and 1975’s “Tonight's The Night” and “Zuma” have been out of print for many years and will be reissued separately for the first time after being previously released as a Limited Edition Box Set for Record Store Day in 2014. The records were originally issued in the years following the success of 1972’s “Harvest”, which delivered Young his first and only US No.1 album. 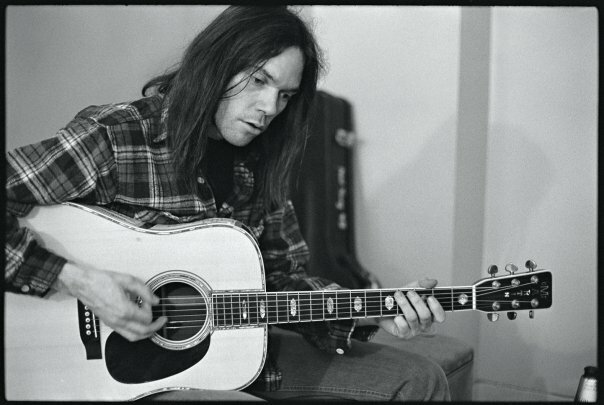 “Time Fades Away” was recorded live with Neil Young and The Stray Gators while touring in support of “Harvest” in 1972. 1974's “On The Beach” was recorded after “Tonight's The Night”, but released before the latter, which surfaced in 1975. “Zuma” marked the rocker’s first project to deliver a co-credit to his band Crazy Horse and features their "classic" line-up of bassist Billy Talbot, drummer Ralph Molina and guitarist Frank Sampedro. The singer is next scheduled to perform at Farm Aid 2016 in Bristow, VA on September 17.